The people of Phola Park, Mpumalanga are reaping the benefits of 24-hour 1 Plus convenience offered by the all new Engen Phola Park Convenience Centre, which officially opened on 15 March 2018. Engen Phola Park Convenience Centre is located at the entrance of the newly built Phola Mall on the corner of the R573 and P764, KwaMhlanga. Engen Phola Park Convenience Centre was built as part of the greater Phola Mall Shopping Centre development. Customers can enjoy a diverse range of convenience services including an Engen Quickshop, Corner Bakery, a water bar, eco-friendly car wash and multi-branded ATM machines – including ABSA and soon to be added Capitec and Standard Bank. The 10-pump site offers customer’s quality fuels such as Engen Primax Unleaded and Engen Dynamic Diesel 50ppm with ease of access and service for heavy duty vehicles and trucks. As the new owners of Engen Phola Park, Frans and Lourens Lombard are extremely excited to offer the Phola Park community 24-hour convenience. Engen Phola Park is one of the latest additions to their Fuelarama group of service stations. The group also operates Engen Fleurdal Convenience in Bloemfontein and Engen Raslouw in Centurion, which will be adding a Woolworths Foodstop to its offering in May this year. 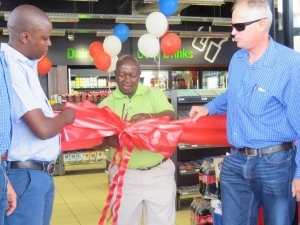 “We are very proud of our association with Engen and the McCormick Group who undertook to build this new retail shopping centre in KwaMhlanga,” says Ben Fourie, Operations Manager for the Fuelarama Group. “The Engen brand has a substantial footprint and is well known amongst our customers who have come to associate themselves with Engen’s brand promise of With us you are Number One. This promise fits in with our high operating standards and shared vision,” adds Fourie. Fourie and his team are focused on continually building relationships with customers and business partners. 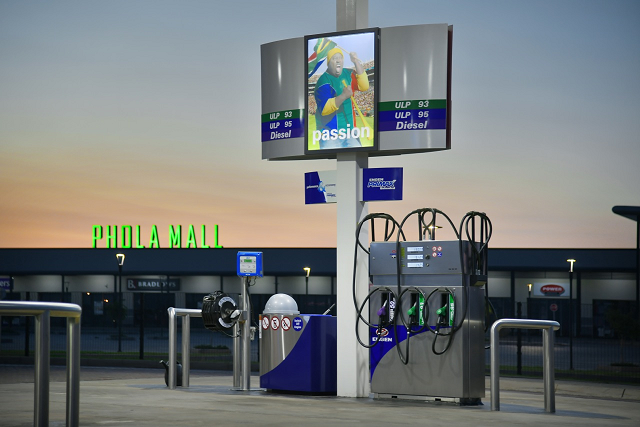 “As the Fuelarama Group we believe business must be about transforming and uplifting and not only transactional which is why operating at Phola Park Mall makes sense on all levels,” he says. Says Seelan Naidoo, Engen’s Head of Retail: “Engen is very excited to see our network flourishing. Convenience and customer service remain key determinants of success in our industry. Last year we opened 10 new service stations and we are planning another aggressive new site programme in 2018. Previous: Engen’s Youth Development Programme shortlisted for the 2018 Sport Industry Awards.